This entry was posted in Events and tagged BCI, physiological computing on May 16, 2014 by Steve Fairclough. 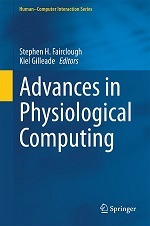 It was way back in 2011 during our CHI workshop that we first discussed the possibility of putting together an edited collection for Springer on the topic of physiological computing. It was clear to me at that time that many people associated physiological computing with implicit monitoring as opposed the active control that characterised BCI. When we had the opportunity to put together a collection, one idea was to extend the scope of physiological computing to include all technologies where signals from the brain and the body were used as a form of input. Some may interpret this relabelling of physiological computing as an all-inclusive strategy as a provocative move. But we did not take this option as a conceptual ‘land-grab’ but rather an attempt to be as inclusive as possible and to bring together what I still perceive to be a rather disparate and fractured research community. After all, we are all using psychophysiology in one form or another and share a common interest in sensor design, interaction mechanics and real-time measurement. The resulting book is finally close to publication (tentative date: 4th April 2014) and you can follow this link to get the full details. We’re pleased to have a wide range of contributions on an array of technologies, from eye input to digital memories via mental workload monitoring, implicit interaction, robotics, biofeedback and cultural heritage. Thanks to all our contributors and the staff at Springer who helped us along the way. This entry was posted in News and tagged physiological computing on February 11, 2014 by Steve Fairclough. Nintendo recently announced their going to focus on health applications using non-wearable devices in the near future. Sadly this is all they were willing to say at this point in time and so it’s pretty much anyone’s guess what their actually working on. While Nintendo has developed successful exergames with the likes of the Wii-Fit their entry into more physiologically driven gaming for health applications never really got off the drawing board. As such I’d hazard a guess that their working on a camera based heart monitor similar to the one supported by the new Xbox Kinect for use in the Wii-Fit U. This entry was posted in News and tagged biofeedback games, Nintendo on January 30, 2014 by Kiel Gilleade. This entry was posted in Events, Musings and tagged affective computing, BCI, digital health, neurofeedback, physiological computing, telemedicine on January 17, 2014 by Steve Fairclough. This entry was posted in Musings and tagged concepts, ecg, physiological computing, user evaluation on November 21, 2013 by Steve Fairclough. This entry was posted in News and tagged cfp, intelligent adaptation on November 20, 2013 by Kiel Gilleade. This entry was posted in Musings and tagged biofeedback games, love tester on November 17, 2013 by Kiel Gilleade. 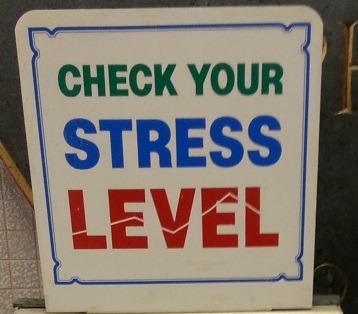 It appears Ubisoft’s entry into biofeedback training isn’t quite over as I earlier suspected. The product has been rebranded as Ozen and is now being marketed more appropriately to the well-being community rather than the gamer community. Its scheduled for a 2014 release; hopefully we’ll get a chance to play with it soon. This entry was posted in News and tagged biofeedback games, Innergy, ozen, Ubisoft on October 17, 2013 by Kiel Gilleade.